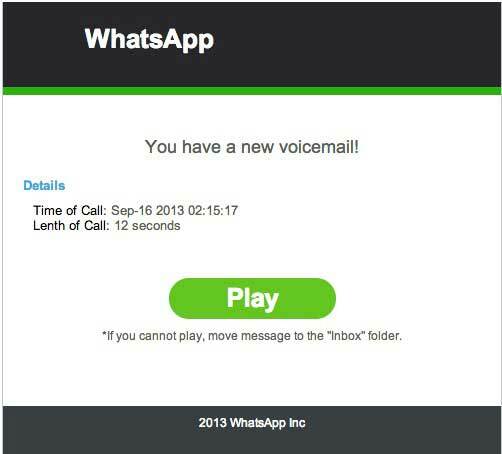 Beware : WhatsApp voicemail eMails are fake ! 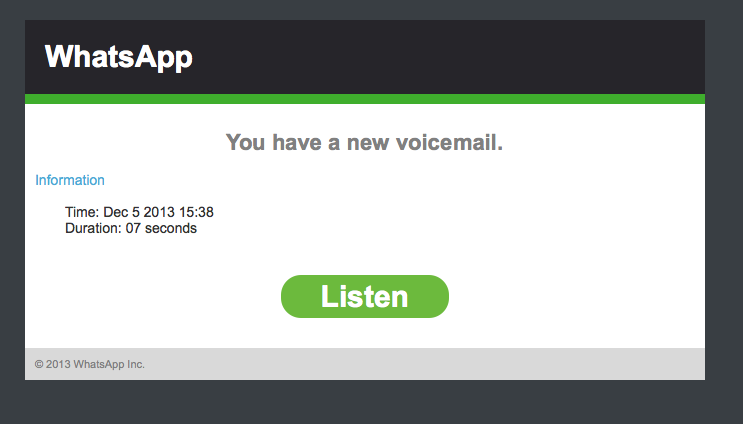 Lately, more and more people are being spammed with (fake) eMail messages, suggesting that there is a WhatsApp voicemail for them. …this is a phishing-scam that instals malware (= malicious software) !! The devices that suffer from this are mainly Android-mobile phones, but jailbroken iPhones, PCs and Macs also. Any original (not-jailbroken) iPhone will only install software from the iTunes App Store, so they are secured against this kind of malware. If you get one of these fake eMails, just mark them as SPAM and delete them a.s.a.p.